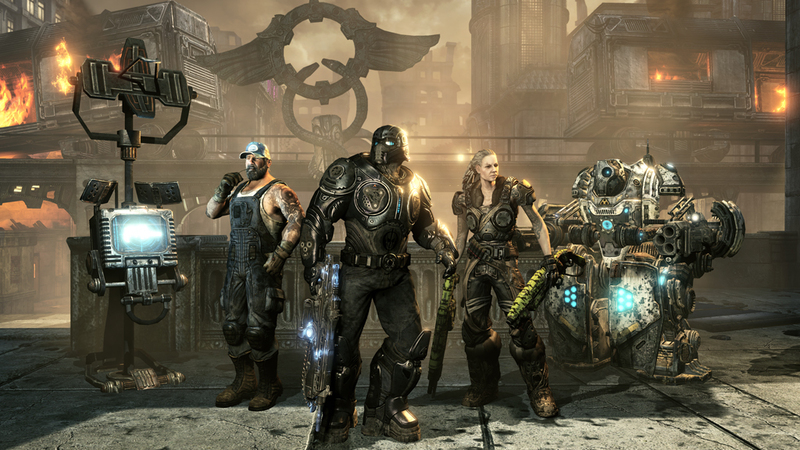 The first DLC for the awesome Gears of War 2 drops on XBL on November 1. Rustlung – Once the pride of the Royal Tyran Navy, the foredecks of this decommissioned battleship are now riddled with bullet holes. Any team with the fortitude to hold the exposed central torpedo bay will find that the ship's Loader has been replaced with a battle-ready Silverback mech suit. Azura – This island resort was once the exclusive domain of Sera's educated elite, but the tranquil water gardens and lush foliage have become a hotly contested combat zone. Dual snipers overlook a powerful explosive weapon, while the defensive central platform may be your last resort of retreat.